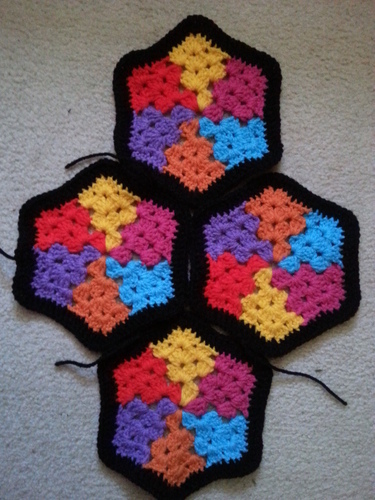 Pattern Name: "Multi-Colour Puzzle Motif"
With the black border they seem to form a honeycomb look. 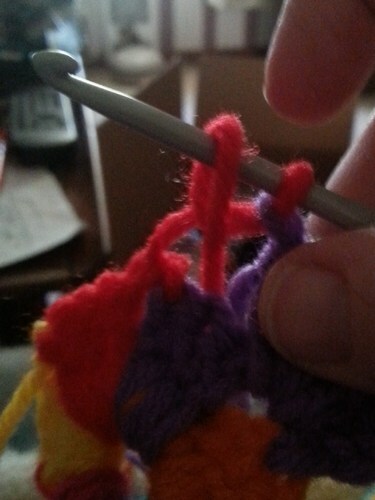 Do not cut yarn between colour changes. The pattern includes half grannies to square off the sides of your project. 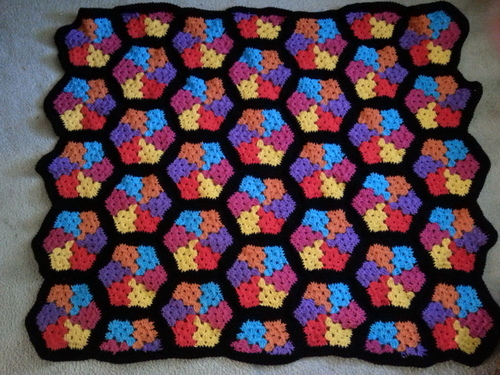 This is a simple six-sided Granny using six colours throughout. The effect is like a collection of puzzle pieces rather like an Autism Awareness blanket.